Fall brings football and pre-season. 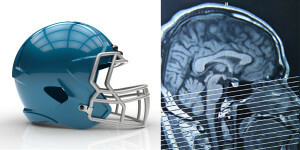 Know the facts and fiction on concussions. NATIONAL HARBOR, MD/ August 25, 2017 / PsychologyToday.com / — A deluge of concussion information pours into the media every day, which makes it hard to know who, or what to believe. Since concussions emerged onto the national scene, the general awareness level of concussions have gone up. However, the general understanding of concussions across all sectors of our society is still extremely low. With Fall season comes football, and the annual concussion testing and education for all student-athletes and parents. Yet, common myths persist. Ask the average American how long does it take to recover from a concussion, and the answer will be anything but “it varies.” While new research points to revelations about diagnosis, recovery and long-term behavioral effects of concussions, as well as trailblazing science about recovering from concussions and traumatic brain injury, it’s surprising to see how many people (even doctors) believe one or more of the following common myths. MYTH: You can usually “shake it off” in a few seconds or minutes after experiencing the injury. Wrong. Symptoms don’t always occur immediately and can show up hours or even days later. When in doubt, “sit them out,” because you want to avoid the numerous risks associated with playing with a concussion. Every team should have a go-to concussion protocol, and/or concussion coordinator, to turn to throughout the season. Typically, during the pre-season in the Fall, student-athletes must complete a concussion test that measures neuro-cognitive functioning, balance and emotional regulation. This is called a “baseline test.” This test will be re-taken should an athlete suffer a suspected concussion. MYTH: Losing consciousness is the only way to prove you sustained a concussion. Wrong. In fact, an estimated 90% of concussions occur without losing consciousness. The most common symptom is vertigo, followed by headaches and sleep disturbances. Memory loss and mood irregularities are also common. MYTH: Concussions aren’t that serious. Wrong. The brain injury affects everyone different, and can have long-lasting effects, despite to seemingly “recover” in a week. New research using EEG and fMRI show changes in the brain lasting beyond what is considered “clinical recovery.” Concussions add up too. Multiple concussions can lead to be more susceptible to concussion, and have higher intensity of symptoms. A concussion can be lethal when a second concussion is sustained prior to a previous concussion being healed (back-to-back concussions). We are learning now that concussions may lead to chronic traumatic encephalopathy (CTE) which has been found to be common among deceased NFL players. MYTH: You can “cheat” the concussion tests. Wrong. Athletes think they can ‘tank’ a pre-season concussion test so later concussion tests show lower scores, and therefore appearing to be normal. However, this is not only illogical, but today’s technology eliminate this problem. For example, try faking good balance. If your balance is affected by concussion (as it is 50% of the time), you will not be able to fake a good balance test. More modern baseline tests have internal surveillance for unexpected bad performance that can flag a test to be repeated. So, the athlete would never leave the locker room until he could balance properly. Concussion protocols like XLNTbrain, with the balance app, make tanking impossible. MYTH: You can recover from a concussion in 24 hours. Wrong. In fact, some concussion injuries never fully heal. The rate of healing varies by individual, and related treatment observed. Still, for most student-athletes, if they follow recommended recovery protocols, they can typically recover from concussions in seven days. MYTH: Move the unconscious player immediately off the field for observation. Wrong. Never move an unconscious individual until a neck or spinal cord injury can be ruled out. Also, do the ABCs; check airway, breathing, and cardiovascular pulse before deciding to if/when/how to move the concussed individual. MYTH: Need to keep concussed individual awake. (Alt. Wake someone with concussion every 20 minutes.) Wrong. In fact, the best and first thing to do is give the concussed brain rest. After 24 hours, I prefer the term “relative rest,” which means gradually increasing activity as long as symptoms are not provoked. Ex. Walking after 24 hours may be good for the brain, unless the person starts experiencing a headache. If headache or other symptom appears, stop walking and continue to rest for another 24 hours. With monitored “progressive exertion,” some athletes may return-to-play within seven days. MYTH: I don’t have a concussion because the CT scan did not show a concussion. Wrong. Computed Tomography (CT) scans will show structural-related trauma, but not a mild traumatic brain injury, or concussion. However, you may still want a CT scan to rule out more urgent problems. MYTH: A coach or athlete can decide if they can return to game play based on how hard the hit was or how the athlete says he or she feels. Wrong: It’s impossible to self-diagnose a concussion because judgment can be impaired by whether or not they want to go back in the game. Although the severity of the hit can be a factor, other factors may induce concussions with less violent hits to the head. MYTH: A well-fitting helmet with the latest technology in protection will prevent concussions. Wrong. There’s no such thing as a “concussion-proof” helmet. Remember, the brain is a soft tissue organ, like butter, unattached and encased in fluid. The helmet can prevent injury to the skull, but not the brain. Even a “whiplash” effect can result in concussion while wearing a helmet and when no contact is sustained.